What a tenuous position to be in. I’m standing on the precipice of a new life eagerly and anxiously ready to get started. I’ve earned this. God knows it took longer than I expected, but I’m finally ready to take that first step off the cliff. be sitting in my new apartment, in NYC (hopefully Brooklyn), with Tessa, celebrating our 1 year anniversary on (or before) March 14th. make a little money. Not a lot, but enough to not worry about it on a day to day basis like I currently need to. find a way to either make my current job more interesting/fun or to find a different job that fits those qualifications. start to pay back a chunk of my debts. pay off my credit card, and then do the “freeze it in a block of ice” idea. No, really. take dance lessons with Tessa. read (and enjoy) a few of those books on my reading list. actually take some kind of vacation, no matter how brief. finally kill this blog (and domain) after 5+ years. It doesn’t make a lot of sense any more. get down to Atlanta to see my brother at least once, but hopefully more than that. investigate the feasibility of grad school (informatics? information systems? pottery?). continue to be informed about the news and politics. scuba dive at least once (preferably some place with warm water). go camping in the Thousand Islands. make a point to take more pictures. Good pictures. Bad pictures. Just take pictures. since you have come into my life. This is no easy feat you have managed. You ask why I stare? lost in the depths of your beauty. If only you could possibly see through my eyes. your face crosses my mind. In the same instant I am nervous and happy. that I donâ€™t make you nearly as happy as you make me. that every single day I am thinking about you. This is at once overcome by the happiness that you bring. The way you laugh melts my heart. Your smile makes my heart stop. I have to remind myself to breathe again. only to find yourself in a better place and time. It is a serenely disorienting experience. I know all of this is going to be ok.
What's up. Where I'm at. December 11th. December 11th at 11AM I will finally graduate with a bachelor’s of science degree in psychology. It’s been a long journey. Let me repeat that (I’m starting to sound like Joe Bidden). It’s been a VERY long journey. I’m not going to get into details because if you don’t know what I’m talking about then you don’t need to know. So what’s going on? What’s the plan? I plan to move to New York City in the very near future. That would obviously imply that I’ll need to find a place to live, and I’ll need someone to employ me as well. These are all things I’m still working out as we speak. The wheel has been put in motion, and now I’m just hoping its momentum will promptly lead me to where I want to be. So why New York City? The better question would be: why not? The intelligent reply would be “because it’s absurdly expensive”. Well yes, it is. Fair point actually, touchÃ©. Ignoring this minuscule stumbling block I’ll answer the “so why New York City” question instead I guess. “I [have] to go and see about a girl.” That would be part of it. I’ll keep the sappy details to myself, but I’ll just say that she’s the girl of my dreams. She makes the little things in life extraordinary. The other significant reason for this move will be because, quite simply, I need to get out of Rochester. Excluding my brief stay (2 1/2 years on and off) at Vassar, I’ve never lived in a different place. It’s definitely time to fix that. So that’s the deal. What’s left to do? Minor things, ya know. I need to graduate (which includes finishing my finals), find a job, find a place to live, and then actually move down to NYC. Wish me luck! Sen. Barack Obama has clinched the Democratic nomination for president, according to CNN estimates, making him the first African-American in U.S. history to lead a major-party ticket. Obama picked up a slew of superdelegate endorsements on Tuesday. Those endorsements, combined with the delegates he’s projected to receive from South Dakota’s primary, will put him past the 2,118 threshold, according to CNN estimates. By doing so, he shattered a barrier more than two centuries old to become the first black candidate ever nominated by a major political party for the nationâ€™s highest office. The Hobbit is a prequel to the infamous The Lord of the Rings trilogy. This won’t be your naive run-of-the-mill “this book rocks! !” type of reviews. To be quite honest, I found this novel to be rather bland and uninspired. It felt quite drab and lacking any kind of compelling plot when compared to the action packed extravaganza that the LOTR’s trilogy provided. 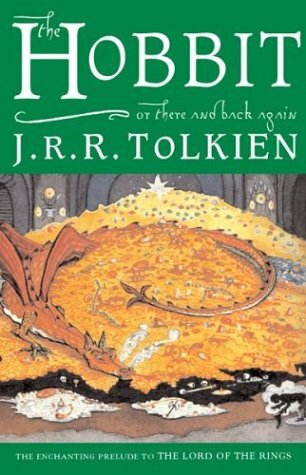 It’s tough for me to recommend this famous book to anyone considering I so thoroughly loathed reading this, but perhaps if the potential victim hadn’t already been spoiled by the wonderful journey that is the LOTR trilogy then they might find it exciting. This wordless weight I carry.